In 2015, during PARCC's first year in practice, CUSD#3 families were invited to an informal event that provided information about the new assessment. You might already know that Illinois replaced the Illinois Standard Achievement Test (ISAT) with the Partnership for Assessment of Readiness for College and Careers (PARCC) assessments, which are aligned to the new learning standards and will measure how well third- through eighth-graders and some high school students are achieving in English language arts (ELA) and math. As a way to familiarize families and students with the new assessments, we hosted a PARCC Primer event. 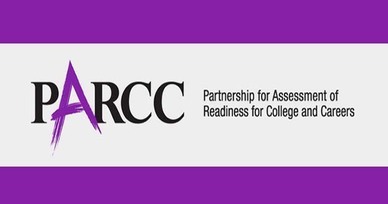 PARCC Has released a five-step checklist that will help parents get their kids ready for testing. The checklist features links to a host of assessment-related resources from both PARCC and partners such as the National Parent Teacher Association, Learning Heroes, Raise the Bar, and Great Kids, that will provide both parents and teachers with information about when the assessments will be given in their child's district, what will be expected of them when they are testing, and much more. Both parents and teachers may also use the checklist to find practice tests, along with released items on the Partnership Resource Center.